Algar Lad ran a fair race on Saturday and fortunately held on for fourth in the 16-runner field. Also available at 8/1 with a couple of other firms. Waady (recommended at 5/2) won comfortably enough yesterday but the gamble didn't follow through as I thought it would. Although it traded below 3.0 on betfair during the day - and was as low as 6/4 with some firms - it drifted to 3.75 on betfair near race time and finished up at 9/4 with the books. Needless to say my ew saver finished fourth. Also available @ 18/1 with two other firms as I write.. Almost no good at all in the CL but at least Juve have reached the last four. They are though the clear outsiders. Draw is tomorrow at 11:00 am - perhaps RM would be best opponent outcome? In any event will be lucky to get them into the final (at rewarding odds of 14/1 for the place part of the ew ante post wager). B Munich are 3-1 down from their first leg encounter at Porto. They are expected progress to the semi finals on Tuesday despite this deficit. I have backed them to go through with a 2-0 victory in their home leg. I got a little bit of 8.6 for this scoreline on betfair earlier today. This has tightened up to 8.2 at the time of writing which means the 7/1 offered by a couple of firms is now the best price available with commission considered. AP McCoy's last Grand National, riding Shutthefrontdoor, with him promising to retire on the spot if he won was a major story surrounding last weekend's race. Expectations were for a flood of sentimental money from the general public, with talk in some quarters of the horse going off at 4-1 for the 39 runner race. This was against a backdrop where the three of the firms mentioned above (on the day of the year where their potential acquisition of customers is greatest) only offered four places each-way in their shops compared to five places online. Maybe this tells us that new shop punters don't return, so there was no need to incentivise to attract them. 165% represented the highest figure in any year as far back as 2003. My understanding is that if the shops want to shorten a horse (hedging part of an exposure, say) then their course reps can do so in hard cash on the rails. Here, why not just press the blue button on betfair at double figures? Ladbrokes said after a recent national that 40% of their shop punters took the starting price. In 2010 the method of calculating Starting prices was change. SPs were determined by SP agents taking a sample of bookmakers' prices, and taking the lowest price among the best third available "to good money" at the off. Now the SP is the lowest price among the top 50 per cent. The SP system before the Grand National displayed the characteristics of a cartel price-fixing. It's not an open market as it should be and it is done to pay less winnings to punters. The SP system doesn't work as well as it once did because the on-course markets are now so weak. To add insult to injury of a starting price system that here failed them, for those shop punters offered 4 places, Shutthefrontdoor finished 5th. At least we can't blame the bookmakers for that!" Very disappointed with the SP outcome of the Grand National. Shutthefrontdoor was 8/1 ten minutes to the off-time. There then took place an unprecedented smashing up of the on-course market in which McCoy's mount was cut to 6/1. In fact the overall book was an unfair 165% and there is to be an investigation into this. Pat Smullen made all the running last time and I expect him to try that again. The runner-up re-opposes on better terms but hopefully will be no better than second again! I've not found a lot of value in the specials' markets. I think there could be between 15-19 finishers but that's pretty much what the market thinks too so I'm not going there. What about the winning horse's star sign? No, seriously you can't believe a bookmaker is betting on that! Obviously if AP wins the 13:30 race that won't help us! Good luck with whatever you've played and enjoy the race. We already have an interest in the well handicapped Rocky Creek at 10/1 who finished fifth last year carrying 11-05. I'm going to have another point on at the price. PF Nicholls is in tremendous form at this meeting. It used to be that it was prudent to select horses carrying less than 11-00. In recent years the handicap has been condensed which has meant the classier horses have a better chance of winning. In four of the last six years the winner has carried 11-00 or more. So the winner has a much better chance of coming from the first dozen or so in the handicap. My second selection, like Rocky Creek, carries 11-03. This is First Lieutenant who could start shorter than the current 25/1 with the popular Nina Carberry in the saddle. Nina was faultless over the big fences yesterday. I'll be looking at the GN specials in the morning to see if there is any value there. Horrible results at Chelmsford City yesterday. First selection backed from 4/1>2/1f. An ill-considered ride from Doyle IMO. Dropped out and then ran extremely wide turning into the straight. As for my second choice - reared up in the stalls losing many lengths at the start and was never going to recover from that even for a place. As for the Grand National, major firms are so far sticking to 1/4 odds first four. Remains to be seen if that changes over next 24 hours. I may have another bet today and will tell you what it is by 18:00 tonight if I do. "The killing moon will come too soon"
May have a couple of small EW bets but will wait for bookmakers' offers/enhanced EW terms Friday/Saturday. Attractive EW terms on offer from a few operators - but not all so look carefully if you play! As you'll be aware I've already had a bet on the election - in the most seats' market. Not got any particular value there as the price I have taken is still available. Yet I still think it's incredibly close between Labour and Tories - as we go into tonight's debate - and therefore Labour, being the larger price, remains the value 'seats' bet for the moment. Turning specifically to tonight's debate, Farage is an incredibly short price to win having been backed in to a general 6/4 favourite. People seem to like his man down a pub image. But surely there is a chance he will slip up in this environment? We've seen Cameron and Miliband in the first debate and I must say I thought neither was particularly impressive. Paxo was the winner on the night for me. In 2010 I backed (and blogged) Clegg to win the TV debates. He did. 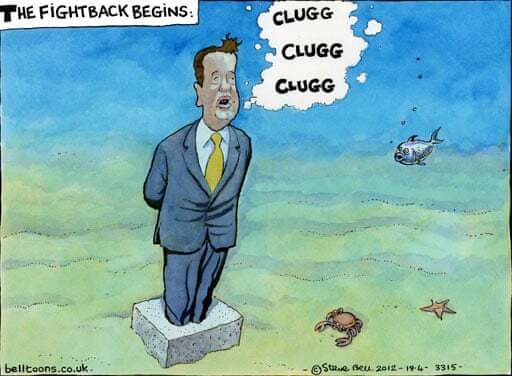 Of course the situation is very different now as Clegg has been part of the establishment. However, these events are often about presentation, how people look as much as what they say. Remember the sun-tanned Kennedy v the sweaty Richard Nixon? Finally I can't have any of the three women contenders for various reasons.